There was a parallel universe called, Gamindustri. A long time ago, in Gamindustri, a big incident took place. But the conspiracy of the 4 continent's hard driven goddesses, crushed it and brought peace. This is the story of what happened after the goddesses resolved the incident. Based on the PS3 series of games, the games poke fun at several facts and details of the gaming industry; even to the point were character names are affected. 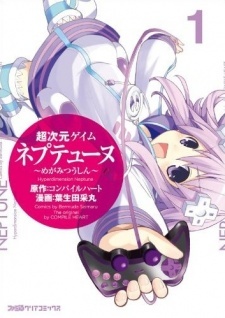 For example "Neptune" is a reference to Sega's unreleased "Neptune" console.